The Urban Carry's G2 inside the waistband holster has to be one of the most innovative concealed carry holster designs we've come across. 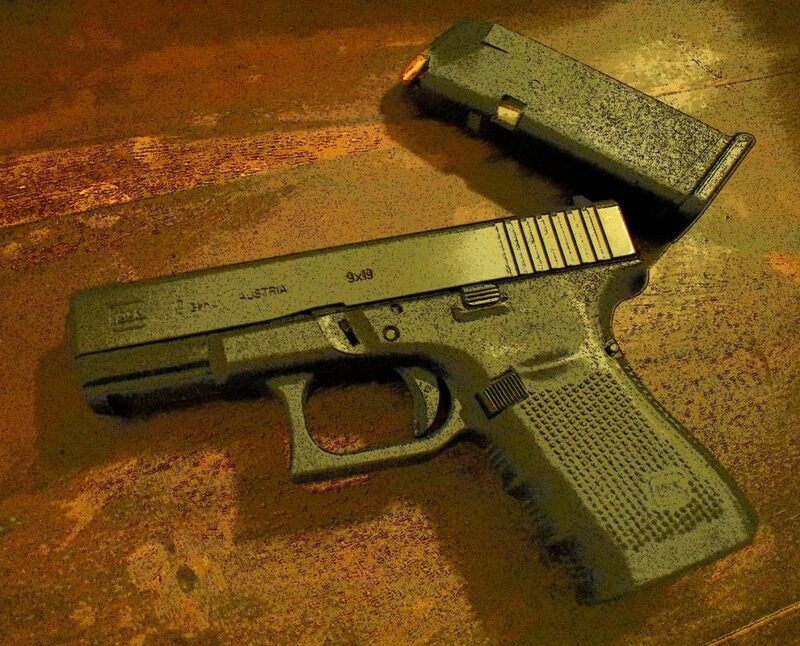 Although not without its flaws, the G2 can turn your belly gun into a quick-draw performer. It's ungainly at first glance, and it's definitely unorthodox, but this particular holster has some tricks up its sleeve. Let's take a look at the ratings. This G2 is tough and made from quality materials. It stays in place, provided your belt is up to the task. Models are available for approximately a dozen popular carry pistols. Most importantly, the unique design allows for very quick access to the pistol, provided the user is willing to practice the draw. Most variations of the IWB holster require pulling the wearer's shirt away from the line of the draw. The G2 attempts to address this problem with a holster that pops up from the waistline when given a tug on the belt clip. Unfortunately, this motion only works from the front of the pants, so the clip stays visible on the wearer's waist. If you're not willing to practice a lot, this holster's complex draw may not be for you. Whether or not the G2 is a good fit for you depends on a few different factors. 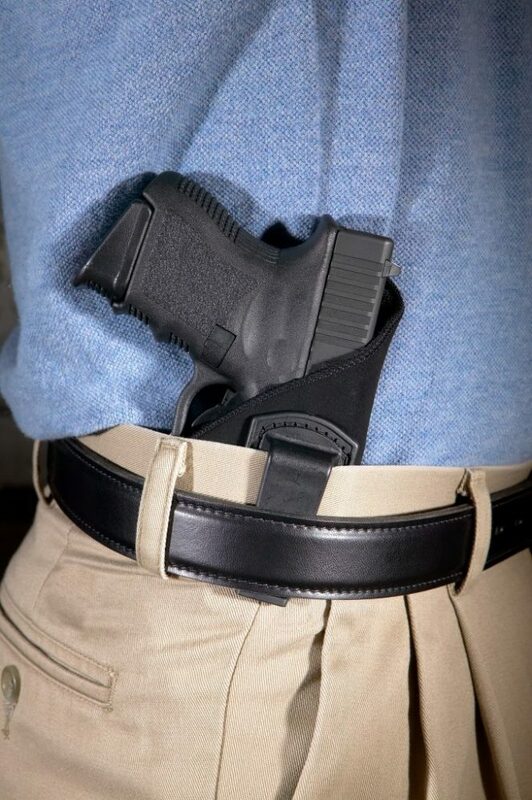 Like most IWB holster models, the G2 will work best when paired with a belt; its only point of attachment is a solitary belt clip. The holster itself hangs far down inside the pants, keeping the firearm itself below the waist. 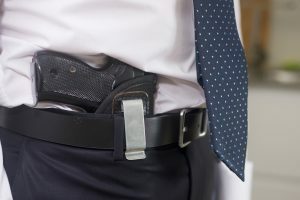 To draw, users pull the belt clip up causing the holster itself to rise, firearm and all, out of the wearer's waistband. If you're having a hard time picturing all this, don't worry: we found it to be pretty strange at first too. We've got a video further down which should help you visualize this holster's performance, but for now, let's get into the details of its operation. We're going to break down the design and its effects on carry and draw, along with a quick look at what comes in the box and how to get the most out of this rig. The G2 is ideally suited to slimmer customers looking for a frontal carry position. 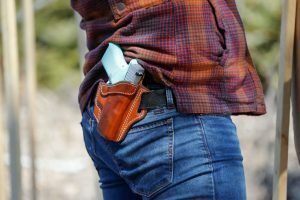 The holster requires a two-hand draw, which makes carrying in the small of the back impractical. It's also fairly large - due to the carry position, it can cause significant printing if worn under tight clothing. We'd put the G2 squarely in the mid-priced category; it's by no means budget gear but it won't break the bank. 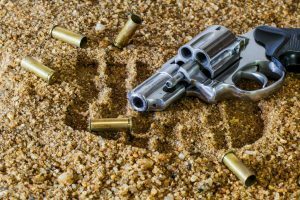 It bears mentioning that the unorthodox draw and the significant movement the gun makes during it mean that users should plan to practice with this piece of gear before taking it out in public. 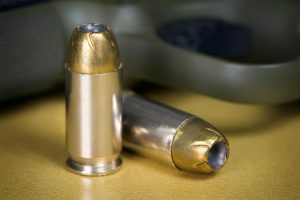 While a magnet secures the gun to the expanding holster shell during the draw, depending on the user's posture and the force he or she applies, the gun might end up in a variety of positions. Practice makes perfect! Taking this holster from the bag to your waist is simplicity itself. The holster is self-contained, a solid piece of leather with magnets embedded. You won't need to perform any setup operations or otherwise fiddle with this piece of equipment: It's ready to go right out of the bag. Take a look at this independent reviewer's unboxing video for a close look at the largest G2 model, the Captain. 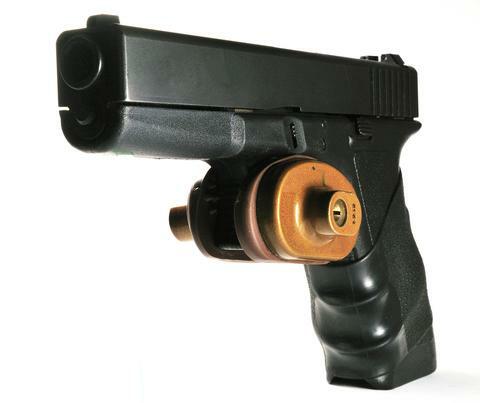 The G2 relies on embedded magnets to keep your pistol in position and keep the holster shut. The top of the grip overlaps the wearer's belt and sticks to the belt-clipped backing. This gives the appearance of wearing a small leather rectangle on the belt line. 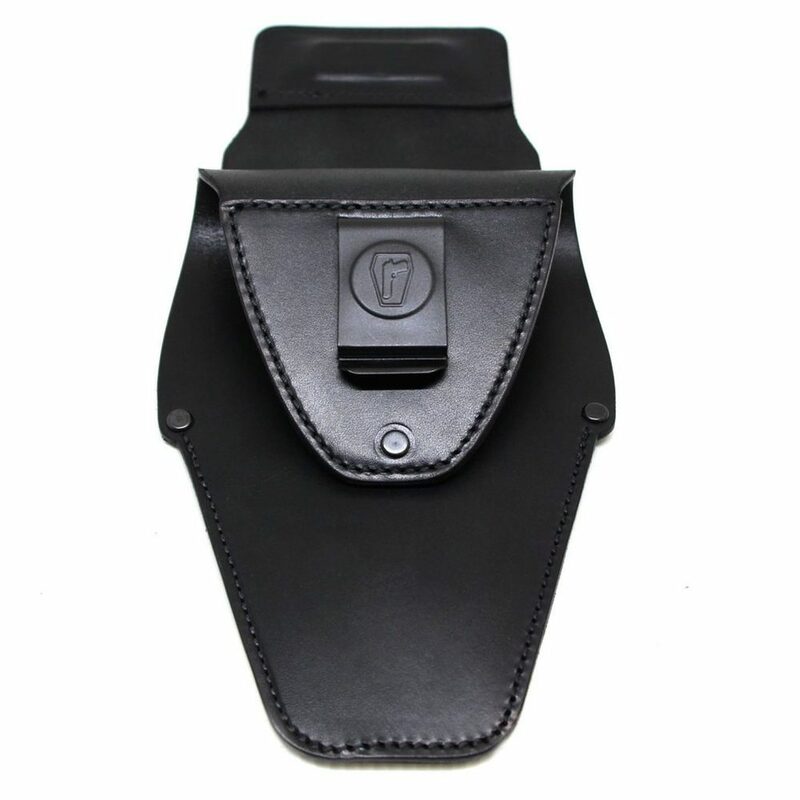 This clip provides the grip for your draw and the leverage necessary to extract the holster and its contents from your garment. The upside to this arrangement is that no maintenance or adjustment is needed. The G2 is available in a variety of sizes designed to accommodate most common carry guns and can be special-ordered for currently unavailable models. The leather takes a bit to break in, but the process occurs naturally with wear. The key to getting your money's worth with the Urban Carry G2 is spending time getting used to its draw pattern. Depending on the angle at which you're holding your torso and the dimensions of your gun, the draw will likely feel different from pull to pull unless you practice enough to make it intuitive. Situational awareness is already one of the key components of successful handgun defense, but that goes double for the G2. You're going to need both hands ready and unoccupied in order to accomplish a quick draw, so plan ahead for situations you might encounter and try to practice accordingly. 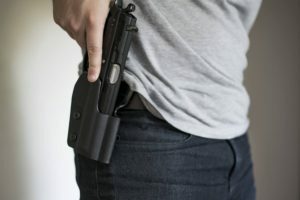 Check out these tips on effective concealed carry from Massad Ayoob, a world-renowned expert in the field, for some pointers to keep in mind. For quick access without the pull-up draw pattern, we recommend the Alien Gear 3.0 or 3.5 IWB models. Both come equipped with a hard shell and produce consistent results on the draw. If you'd prefer to carry your pistol in the small of your back, we've had good results with the Sticky Holsters line of IWB models: they're simple and effective. The G2 from Urban Carry isn't for everyone, but if you consistently carry a small pistol under a tucked-in shirt, you should give it a look. 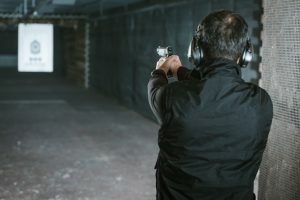 The two-stage nature of the draw and the fast moving gun it produces require a lot of familiarity to get used to, so be sure to practice your draws from a variety of positions. We all know that life is full of surprises; this inventive holster might be a pleasant one for you.